Fairhope, Alabama is a charming community located on the Eastern Shore of Mobile Bay. Currently, Fairhope has approximately 27 condos on the market with an average list price around $500,000. Quickly locate Fairhope homes for sale using our Search Filters to sort listings by price, waterfront, golf course, communities, and more. Find useful information for Daphne located just north of Fairhope. Time to sell your Fairhope condo? Read about today's condo buyer. Click the thumbnail for current listings, view recently SOLD properties with SOLD Price & SOLD Date. 52 North Church Street Townhomes are located in downtown Fairhope and walking distance to restaurants, stores, and local businesses. Comprised of just 5 units, these stunning townhomes feature wooden floors, 12 ft ceilings, crown molding, and large balconies. 100 North Bancroft condos are located in downtown Fairhope and were finished in 2008. The condos are walking distance to numerous Fairhope amenities such as restaurants, the Fairhope pier and the library. Bay Winds is off of Scenic 98 near downtown Fairhope, AL. 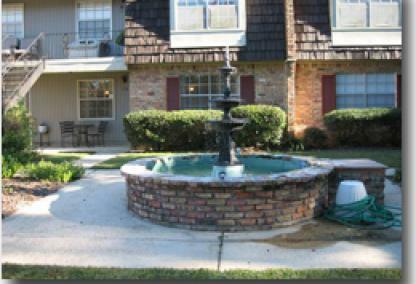 The condos are approximately 12 miles South of I-10 and close to most all of Fairhope's area attractions. Chateau Royale is in downtown Fairhope, AL and walking distance to the pier and other venues such as restaurants, shopping, nightlife and the Fairhope library. Colony At The Grand Bayview II is located on the new RTJ course at the Grand Hotel in Fairhope, AL. 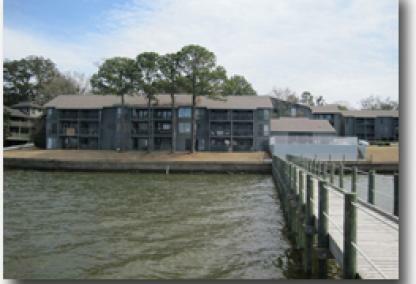 The condos are a mile from Mobile Bay and 2 miles from Hwy 98 in the Point Clear area of Fairhope. Cottages At Point Clear is located on the Western side of the golf course at the Grand Hotel or Lakewood. These Cottages are approximately 1 mile from Hwy. 98 in the Point Clear area of Fairhope, AL. Fairhope North is walking distance to Mobile Bay and located near the intersection of 104 and Section St. near downtown Fairhope. The complex is in Northern Fairhope and close to Daphne as well. Founders Square is in the middle of downtown Fairhope, AL approximately 2 blocks South of Fairhope Ave. The condos in Founders Square are approximately a half of a mile from Mobile Bay. Garden Circle is located approximately 2 miles East of Mobile Bay just outside of downtown Fairhope, AL. The complex is 1 mile South of 104 and near many area attractions. Gayfer Court is located just off of Scenic Hwy. 98 and is walking distance to Mobile Bay and downtown Fairhope, AL. The complex is approximately 1 mile South of 104 and West of Hwy. 98. 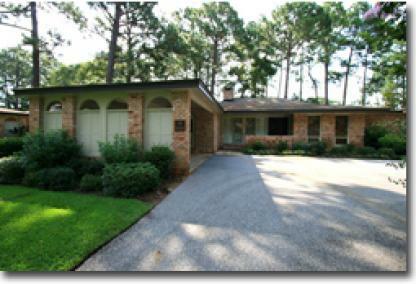 Grand Manor is situated in the Point Clear area of Fairhope on the Lakewood golf club. The condos are walking distance to the Grand Hotel and Mobile Bay. Homestead Village is approximately 2 miles East of Mobile Bay just outside of downtown Fairhope, AL. The condos are between 1 and 2 miles South of 104 and just off of Hwy. 98. Knoll Park Residences overlooks Historic Knoll Park and is ideally located close to Fairhope's downtown district. This luxury residential development offers 4-bedroom/3.5-bath condos just a short walk to Mobile Bay and Fairhope Pier. Le Provencial is approximately one and a half miles West of Hwy. 98 in downtown Fairhope, AL. The complex is a short walk to the Fairhope pier and downtown and is reached from Fairhope Ave.
Magnolia Beach is located directly on Mobile Bay just off of Scenic 98. All of the condos have either direct or indirect bay views. The condos are 1 mile South of Fairhope, AL and 2 miles West of Hwy. 98. Magnolia Trace is located off of Hwy. 98 on the Lakewood golf course in the Point Clear area of Fairhope, AL. 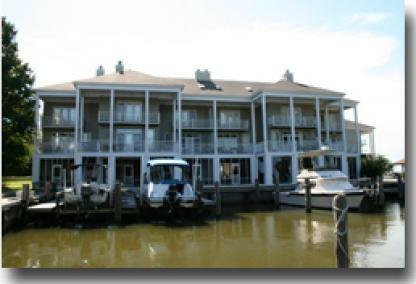 The condos are across the street from Mobile Bay and minutes from downtown Fairhope. 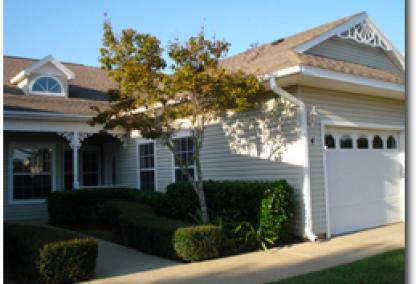 Moorehaven condos are located near Quail Creek golf club in Fairhope, AL. The complex is approximately 2miles East of Hwy. 98 and 104 and is reached via 181. New Orleans Courtyard is located approximately one half mile East of Hwy. 98 just outside of the Fairhope business district. New Orleans Courtyard is about 2 miles East of Mobile Bay and a mile South of 104. Olde' Church Street condos are located 1 mile West of Hwy. 98 on Fairhope Ave. 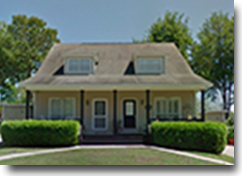 The condos are walking distance to downtown Fairhope and Mobile Bay and the Fairhope pier. Osprey condos are located right off Section St. just west of US Hwy 98. St. These residences are minutes from downtown Fairhope, The Grand Hotel, and Lakewood Golf Course. Point Clear Landing is located on Mobile Bay just across from Lakewood golf course in the Point Clear area of Fairhope, AL. The condos are approximately 3 miles West of Hwy. 98 and 3 miles South of 104. 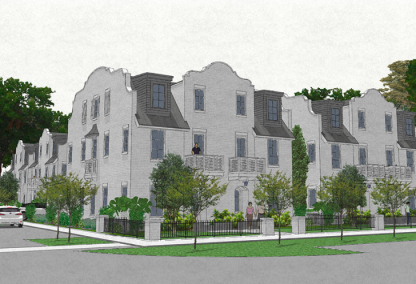 Portico is a new mixed-use development located in the heart of Downtown Fairhope. Phase I & II will consist of commercial A space and high-end residential condominiums walking distance to shops, restaurants, businesses, parks, and Mobile Bay. 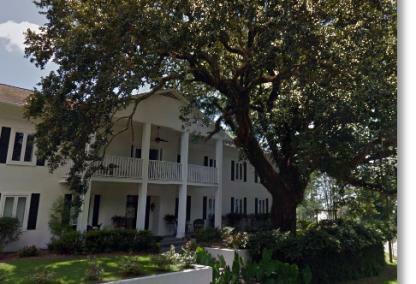 The Oaks Of Fairhope are located in Eastern Fairhope approximately 3 miles West of Hwy. 98 and one and a half miles South of 104. Windward Village is located one half mile from the intersection of 104 and Hwy. 98. 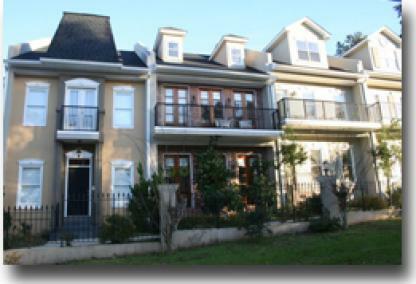 The condos are walking distance to Mobile Bay and convenient to downtown Fairhope, AL. ReadBuilt in 1978, Bay Winds is located minutes from downtown Fairhope, parks, and municipal pier. The complex is comprised of 37 units and features one-, two-, or three-bedroom floor layouts with gorgeous views of Mobile Bay. Walk or bike along scenic sidewalks along the bay or launch your kayak or paddle board right off the beach. Bay Winds features a community pier, gazebo, outdoor pool, & recreation room. Downtown Fairhope is less than a mile away offering great restaurants and shopping. ReadBuilt in 1978, Chateau Royale is located right across the street from Mobile Bay in central Fairhope. These condominiums offer two-bedroom/one-bath floor plans averaging 900 square feet in living area. Fairhope pier, numerous, parks, and Fairhope's charming downtown district are just minutes away. Amenities include a clubhouse, BBQ area, landscaping, and laundry facilities. Condos at Chateau Royale make great investment properties or year-round homes in the heart of Fairhope! ReadDeveloped in 2008, Colony at the Grand Bayview is a luxury condominium located adjacent to Lakewood Country Club. These elegantly-appointed condos are available in two-, three-, or four-bedroom layouts ranging from 1,600 to 2,600 square feet. Each unit offers upscale finishes and feature large balconies overlooking 22-acre Sweetwater Lake and beautiful property grounds. 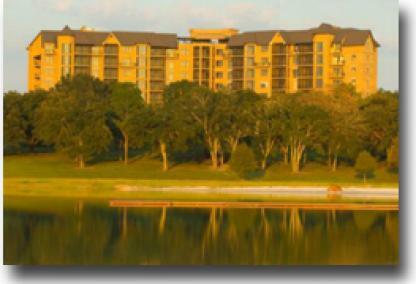 Club amenities include golf, tennis courts, resort-style pool, restaurant, fitness center & sauna. ReadSituated right on Scenic Hwy 98, Fairhope North condominiums overlook Mobile Bay and the Fairhope Yacht Club. These upscale 3-story townhomes are available in two- or three-bedroom floor layouts ranging from approximately 1,600 to 2,500 square feet. Each condo features a private garage and courtyard. The complex offers a community pool for residents to enjoy. Downtown Fairhope, restaurants, and shopping are just minutes away from Fairhope North. ReadGayfer Court condos are located close to downtown Fairhope and are walking distance to numerous shops, restaurants, businesses, and Mobile Bay. These condos are available in 2BR/2.5BA or 2BR/1.5BA layouts and average 1,340 square feet in living area. The complex holds a total of 20 units and features beautiful landscaping, courtyards, and a BBQ area. ReadGrand Manor is located on the Lakewood golf course near the Grand Hotel in the Point Clear area of Fairhope, AL. These duplexes were built in 1973 and are available in 2BR/2BA or 2BR/3BA floor layouts. A new addition is currently under development consisting of six upscale 3-bedroom golf cottages. The neighborhood is minutes from downtown Fairhope and walking distance to Mobile Bay. ReadBuilt in 1994, Homestead Village is a low-density condo development comprised of 2 bedroom/2 bath residences. These homes are minutes from Fairhope's downtown district, shopping centers, medical facilities, and schools. ReadCurrently under construction as of Spring 2018, Knoll Park Residences are Fairhope's newest upscale condominiums located in the heart of the city. These modern three-story townhomes will offer 4-bedroom/3.5-bath floor plans with 2,230 square feet of living space. Features include high ceilings, balconies, screened porches, premium gas/electric appliances, private courtyards, and two-car garages. Watch sunsets over Mobile Bay or walk to shops and restaurants in downtown Fairhope. 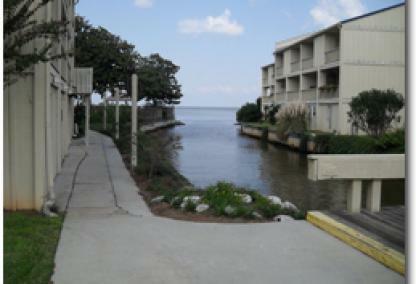 ReadMagnolia Beach condominiums sit directly on Mobile Bay just off Scenic Hwy 98 in Fairhope. Built in 1975, these 3-story condos are available in two- or three-bedroom layouts featuring private balconies and garages. The complex is located right along a popular jogging/walking path along Mobile Bay and just minutes from downtown Fairhope shopping and dining. Magnolia Beach amenities include a community pier, gazebo, and large saltwater pool. ReadBuilt in 1940, Maison Jaycie overlooks one of Fairhope's most iconic landmarks - the Fairhope Municipal Pier. The complex is surrounded by multiple bay front parks and boasts incredible views of Mobile Bay sunsets. Rarely ever on the market, Maison Jaycie is comprised of just 6 residences offered in one- or two-bedroom floor plans. The property features onsite parking behind the building, main lobby area and green space with gazebo. ReadDeveloped in 1984, Point Clear Landing condos are in a great location walking distance to the prestigious Grand Hotel and Lakewood Golf Club. These 3-story residences offer elegant appointments with private balconies and screened porches overlooking the marina and Mobile Bay. Point Clear Landing amenities include a private sandy beach, gazebo, fishing pier, and deeded boat slips. Walk or bike along nearby scenic trails or shop & dine in Fairhope's downtown district just minutes away. Additional info for condos for sale in surrounding areas is available and complete with property details, revenue info, interactive maps, aerial imagery and more for condos in Baldwin County, Escambia County with additional Florida counties coming soon - Bay County & Okaloosa County. Condos at the beaches for Gulf Shores and Orange Beach in Alabama as well as Spanish Fort is all currently available. The Eastern Shore is part of Baldwin County; Alabama's fastest growing county. A recent source depicts both Gulf Shores and Fairhope as two of the fastest growing cities in the US. The Eastern Shore is unique in being one of two places on earth that experiences Jubilees. Gulf Shores condos and Orange Beach condos are credited with having some of the most beautiful beaches in the world. The sugar-white sand beaches make a great backdrop against the emerald-green waters of the Gulf of Mexico. All-in-all, Baldwin County is growing and tourism is booming and tying it all together. Northwest Florida shares the border with Orange Beach, AL and features two great gulf-front areas in Perdido Key, FL condos along with the home of the Blue Angels with Pensacola Beach, FL condos.